Bernard "Lefty" Kreh" passed away at home yesterday at the age of 93. 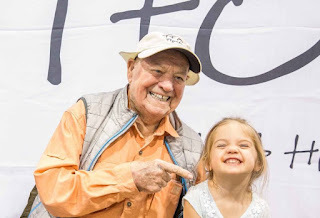 His impact on the lives of everyone that knew him, read his books and articles, or watched him work his magic at the fishing shows cannot be overstated. He was truly a legend in every sense of the word. Here's a few links to articles on his life and legacy. Flip Pallot's ode to Lefty was moving, definitely worth a read..